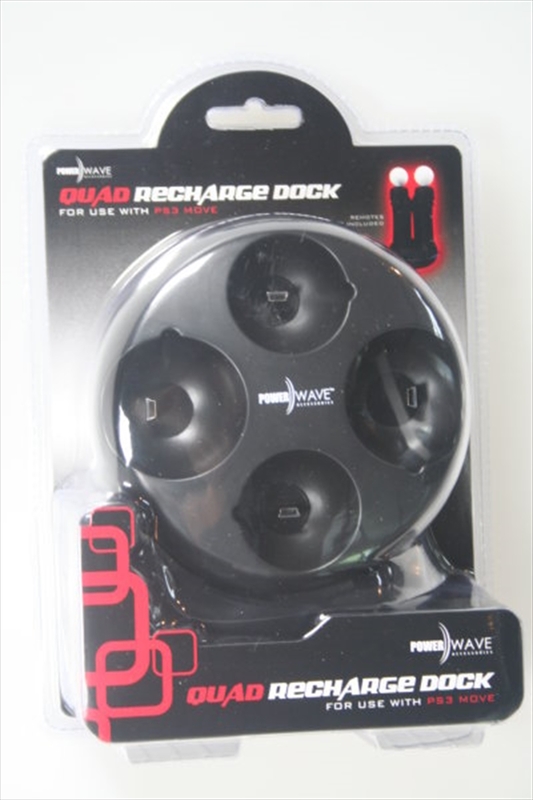 The Powerwave Quad Recharge Dock has been specifically designed for use with the PlayStation Move motion controllers & navigation controllers. The Powerwave Quad Recharge Dock will store and charge up to four controllers (2 motion and 2 navigation controllers). The PlayStation Move controllers have LED indicators that enable the user to quickly determine their charge status. The Powerwave Quad Recharge Dock is powered by connecting USB to the PlayStation 3 console and features a blue LED light to show when unit is powered. - USB powered for simple setup. - Small footprint design with only one cable to rear of console.